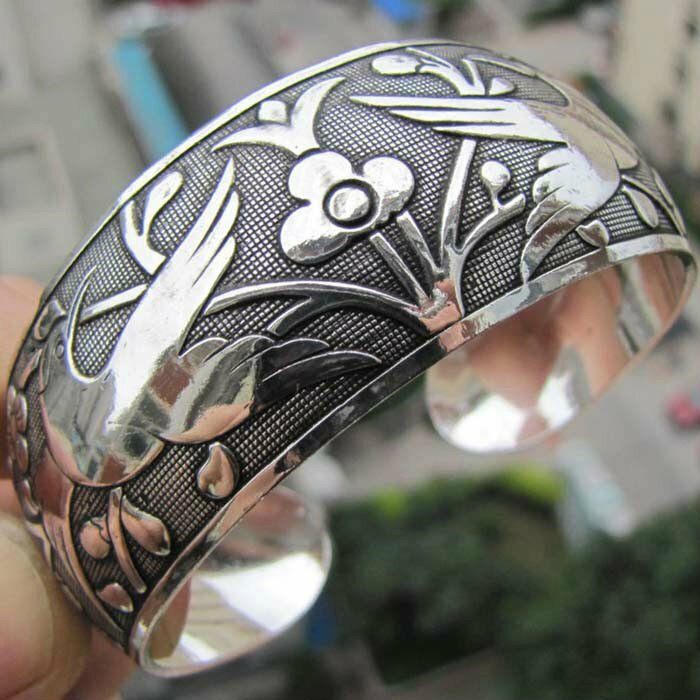 This gorgeous women‘s open cuff bracelet features a beautiful ethnic bird design. Very attractive and flattering to a woman’s wrist, this exquisite bracelet can give you the extra edge with your personal style and design. This magnificent bracelet brings forward the best of a woman’s beauty. The beautiful design is unique and eye catching making a unique personal style statement.